Beginning with its trend-setting Santos Watch in 1904, Cartier has been a longtime pioneer in the watch-making space. And, in recent history, Cartier has challenged its designers and master watch-makers to develop ground-breaking movements. In turn, Cartier has positioned itself as a formidable competitor in the watch industry and has proven its success in developing elegantly designed and impressively built wristwatches. 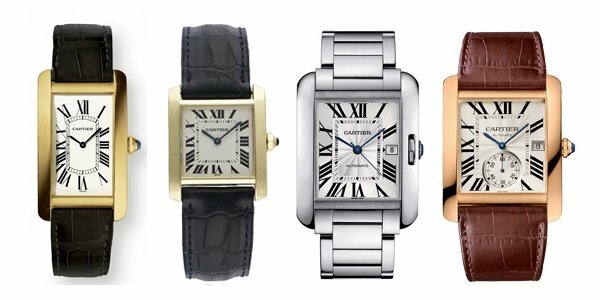 We explore Cartier’s most popular watches, their long history and the different updates of these key models. In 1904, Brazilian pilot and aviation pioneer Alberto Santos-Dumont was a cause célèbre in Paris. Santos-Dumont bent the ear of his friend Louis Cartier and explained how difficult it was to read time off a pocket watch while flying his airplane. Over the next two years, Cartier designed the Santos watch: a revolutionary and masculine square-shaped wristwatch. 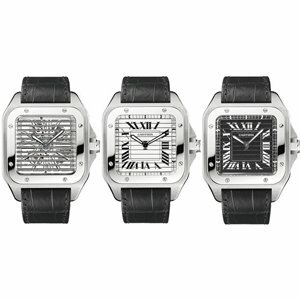 The Cartier Santos watch was a sensation and sparked a new demand for men’s wristwatches that had previously been worn exclusively by women. The Cartier Santos Watch was updated in 1978. The Santos was reissued in a less expensive steel case and bracelet with a golden bezel and screws. This modernized design carried a surprisingly sporty air and was emblematic of Cartier’s new approach to affordable luxury. 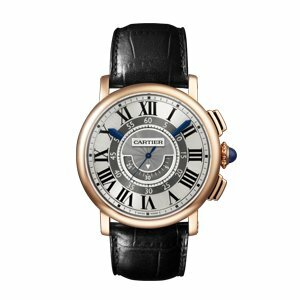 In step with the times and changing tastes that preferred a larger case size, Cartier debuted the Santos 100 in 2004 in celebration of the Santos’ 100-year anniversary. This hefty watch measures a whopping 42 x 51mm—an impressive jump up from the 1904 Santos watch that feels dainty in comparison at a mere 35mm. The Santos Triple 100 was released in 2008 and is credited as the first-ever rotating-dial mechanism. This mesmerizing Cartier watch includes three different displays: the classic Cartier Roman numerals; one covered in diamonds and sapphires, and a detailed portrait of a tiger. By turning the crown, the display rotates to reveal the next dial. 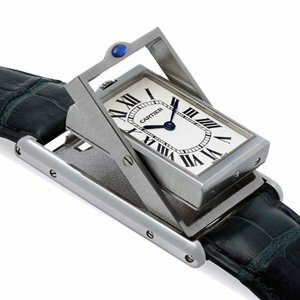 It’s a stunning and mind-bending iteration of the Cartier Santos wristwatch. 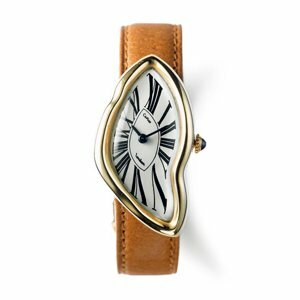 In the early 20th century, women’s taste in wristwatches began to change and the traditional round cases were no longer en vogue. Louis Cartier, in turn, introduced the Cartier Tonneau watch in 1906. The barrel-shaped watch beautifully curved to the contours of the wrist for a comfortable and elegant fit. 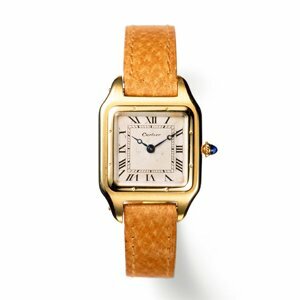 The Cartier Tonneau became a popular accessory for the fashionable women of high society. In 1913, Cartier debuted the truncated version of the Cartier Tonneau: the Cartier Tortue. French for tortoise, the Tortue was shorter and housed larger round movements than its predecessor. 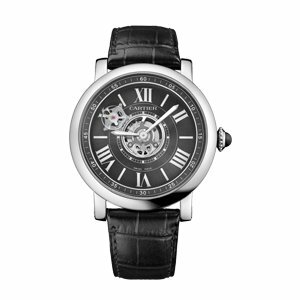 The Tortue Monopoussoir was re-released in 2002 and included a column-wheel caliber that was only 3.8mm thick. The Cartier Tortue underwent a significant redesign and, in 2003, Cartier released the Roadster Chronograph. Like its precursor, the Cartier Roadster Chronograph features the squat barrel shape but is definitively a modernized and sporty version of the Tortue. The dial includes a tachymeter scale with elapsed-seconds hands to quickly calculate average speeds. 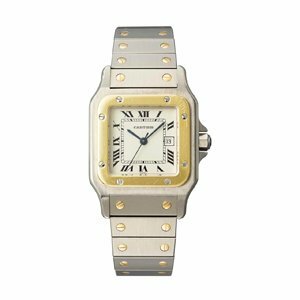 The Cartier Tank watch was inspired by the military tanks used by English troops during World War I. Louis Cartier debuted the Cartier Tank watch in 1917. The Cartier Tank watch is considered the first watch to be designed with a holistic, style-first approach. 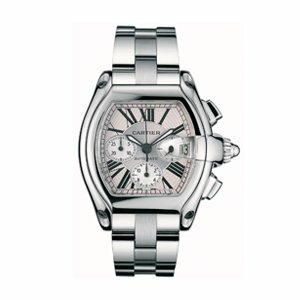 Previously, wristwatch straps were just a means to keeping the watch on; the face and dial were the focus of the design. However, the Cartier Tank watch beautifully integrates the distinct caterpillar tracks of the army tank into the bracelet design that perfectly complements the minimalist face and dial. 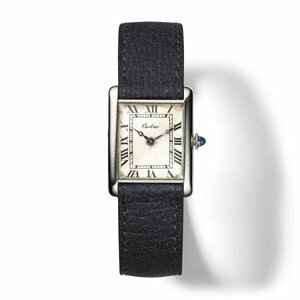 The Cartier Tank watch was immediately a best-seller for the French maison. 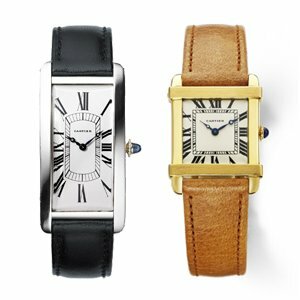 Since the Cartier Tank watch’s debut, there have been over 30 variations on the original design. 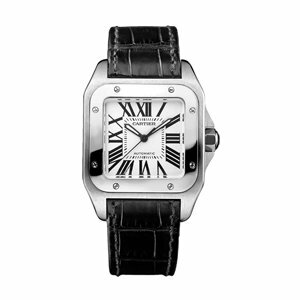 In 1921, Cartier debuted the Tank Cintrée: an elongated version of the original square-shaped Tank watch. Soon after, the Cartier Tank Chinoise was introduced in 1922. The prominent lugs of the Cartier Tank Chinoise were inspired by the architectural lines of Chinese temples. In 1926, Cartier filed for a patent for a clever design that allowed the watch case to rotate a full 180 degrees so the display would rest against the wrist. This technology was incorporated into the Tank Basculante and marketed to active wearers who wanted to safeguard the delicate crystal. The inconspicuous Tank à Guichets was introduced in 1928. The Cartier Tank à Guichets’s display includes only two small apertures to read the hour and minute markers which rotate underneath the tiny windows. For all its elegance, the Tank à Guichets was a durable timepiece, designed for athletic wearers and built to endure the inevitable bumps and knocks. Fresh interpretations of the Cartier Tank have been released in recent history: the elongated casually formal Tank Américaine (1989); the Tank Francaise (1996) which included a modernized chain-link bracelet; the bulkier and sportier Tank Anglaise (2012); and the impressively sized Tank MC (2013). The Cartier Cloche watch (named for its church bell-like shape) was released in 1922 but available only by special request. The strap of this uniquely shaped wristwatch was closed with a single lug at the 12 o’clock marker. A second iteration of the Cartier Cloche featured a dial that was turned 90 degrees counter-clockwise so the 12 o’clock marker was at 9 o’clock. This clever designed allowed the wearer to remove the watch, set it flat on a bedside table, like a small clock, and be able to read the time upright. The Pasha watch was released in 1943, just one year after Louis Cartier’s death, and was an innovative water-resistant watch. The Cartier Pasha watch’s round case shape improved its water resistance and included a grille that echoed World War I era military watches. The crown was housed in a protective locking mechanism which was attached to the case by a small chain to prevent loss. 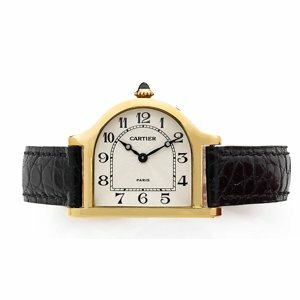 The inspiration behind the twisted shape of the 1960s-era Cartier Crash watch remains a mystery. Some believe it’s based upon a watch that has been smashed and wrecked in a car accident (hence its name). Others credit Spanish surrealist painter Salvador Dali for the watch’s “melting” shape that mirrors the prominent motif in his The Persistence of Memory painting from 1931. 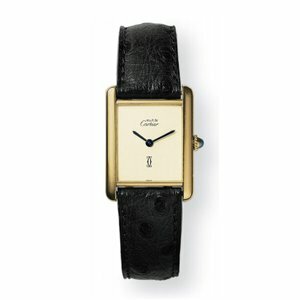 A mere 15 Cartier Crash watches was released in the 1960s. It enjoyed a comparatively larger release of 400 gold watches in 1991. Following Cartier’s split into three international houses based out of Paris, London and New York, Cartier’s watch division was waning. 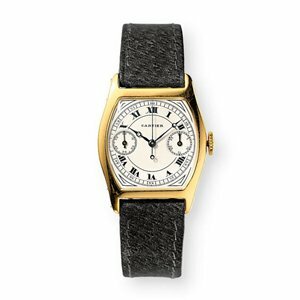 The public interest had largely become critical of luxury goods, so, to reinvigorate interest in the Cartier brand, the Les Must de Cartier watch was released in 1973. 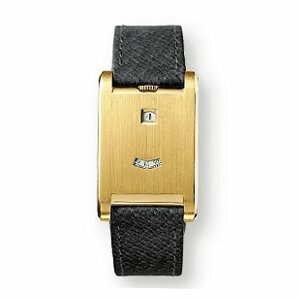 The collection included 12 watch models, available only in solid gold cases and nearly exclusively in Cartier boutiques. It was an immediate hit in both Paris and New York City. The Ballon Bleu de Cartier was introduced in 2007 and was immediately a favorite among Cartier fans who reveled in its inimitable shape. 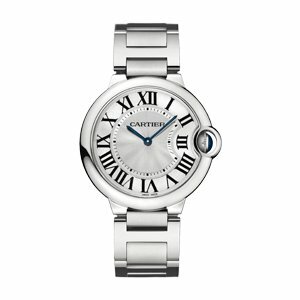 The bold Roman numerals and mother-of-pearl dial are beautifully in step with classic Cartier watches. However, the signature sapphire cabochon crown, housed by the integrated crown, give the Ballon Bleu de Cartier its distinguishing rounded shape. Although it’s one of the newcomers to the Cartier watch lineup, the Cartier Ballon Bleu ranks as one of the brand’s all-time best-sellers and is on par to grow into a classic akin to the Cartier Tank and Santos watches. 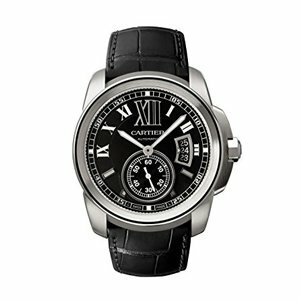 In 2009, Cartier released the Rotonde Central Chronograph. 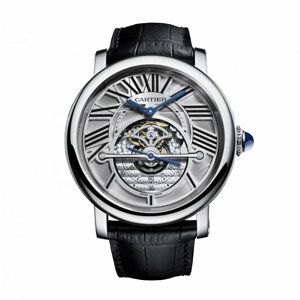 This was a ground-breaking watch for Cartier and includes the maison’s most advanced movement. This innovative watch layers the hour and minute hands below a disk for reading elapsed chronograph minutes and the seconds hand. The brilliantly simple design—with only the tips of the hour and minutes hand visible beneath the chronograph disk—means the chronograph is never obscured. The Rotonde Astrotourbillon was debuted in 2010 to great fanfare for its mind-bending tourbillon. While traditional tourbillon movements rotate around its own axis, the tourbillon of the Cartier Rotonde Astrotourbillon beautifully travels around the entire movement once every minute. The result is a mesmerizing watch that became one of the brand’s marquee pieces that year. And in 2011, Cartier introduced the Rotonde Astrorégulateur. Described as a “gravity-defying” watch, the Rotonde Astrorégulateur de Cartier is outfitted with a 9800 MC calibre which counteracts the effects gravity has on a traditional watch’s accuracy. Cartier holds four patents for the Rotonde Astrorégulateur’s mechanism and this incredibly complex movement requires five times as many components as a traditional tourbillon. 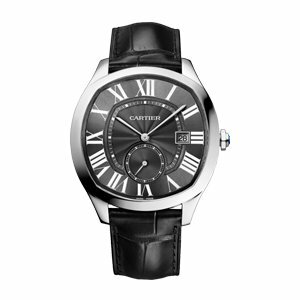 To appeal to male shoppers, Cartier developed the Calibre de Cartier in 2010. The weighty Calibre de Cartier Chronograph is the very first (in the brand’s long history) in-house self-winding chronograph and established Cartier as a formidable luxury watch-maker. In 2016, the Drive de Cartier was released. 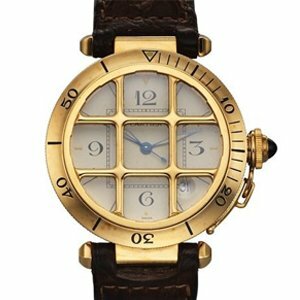 Again, marketed primarily to men, the hefty Cartier Drive watch was inspired by a vintage automobile. 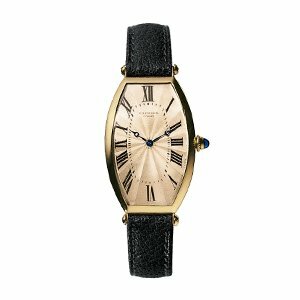 It boasts an elegant rounded shape and includes Cartier’s signature design flourishes: the guilloche pattern on the dial, blue sword-shaped hands, and a sapphire cabochon crown.